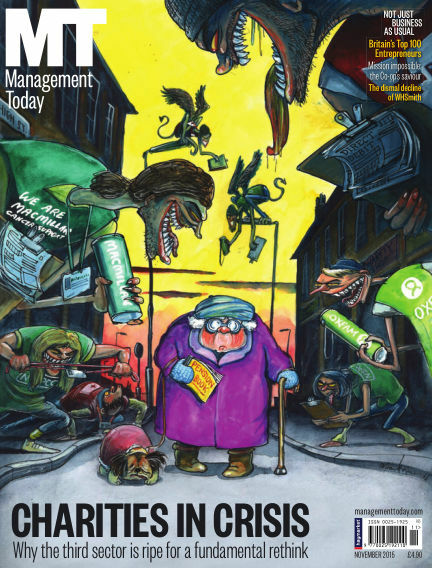 In this issue of Management Today : With one of the most diverse, senior and well-informed readerships of any business title, Management Today has won the admiration of both the business community and our publishing peers for our authoritative yet accessible style. MT's website is your practical guide to business success. While keeping a beady eye on the share price and the P&L, we focus on the issues that most challenge and inspire Britain's bosses and managers - all in clear, confident jargon-free prose. The site is centred around four key content areas: business news analysis (News +), management tips and techniques (How to), the latest and best management thinking (Big Ideas) and the lighter side of business (MT Break). It aims to help managers and business leaders succeed today, and keep succeeding tomorrow. Every day we bring you our take on the biggest business news stories, plus management advice, insight and blogs from the UK's top business leaders and entrepreneurs. From finance and strategy to people issues and innovation, it's all delivered straight to your inbox via our lunchtime email bulletin - the perfect accompaniment to your lunchtime sandwich. Join the conversation. With Readly you can read Management Today (issue November 2015) and thousands of other magazines on your tablet and smartphone. Get access to all with just one subscription. New releases and back issues – all included.